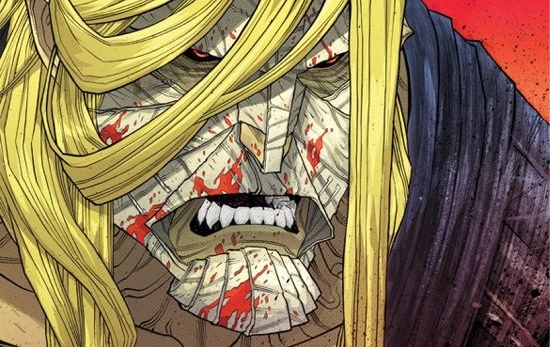 Do You Know Luther Strode? So like, have you ever wanted to be like, super buff and not a loser? Me too. But that will never change, so I fantasize about it through comics, living vicariously through character’s superpowers we could never hope to have. And even if they existed, chances are, it wouldn’t be you that got them. I’m sorry to break this to you. It wouldn’t be me either. And my latest power fantasy comes in the form of Luther Strode. Yes. That’s his name, don’t wear it out. It’s also about a guy who wants to be a super buff non-loser but this is a comic and superpowers are only a toxic waste barrel away! Likable loser Luther Strode orders a book in the mail. It seems almost like any other book, pages and a spine. 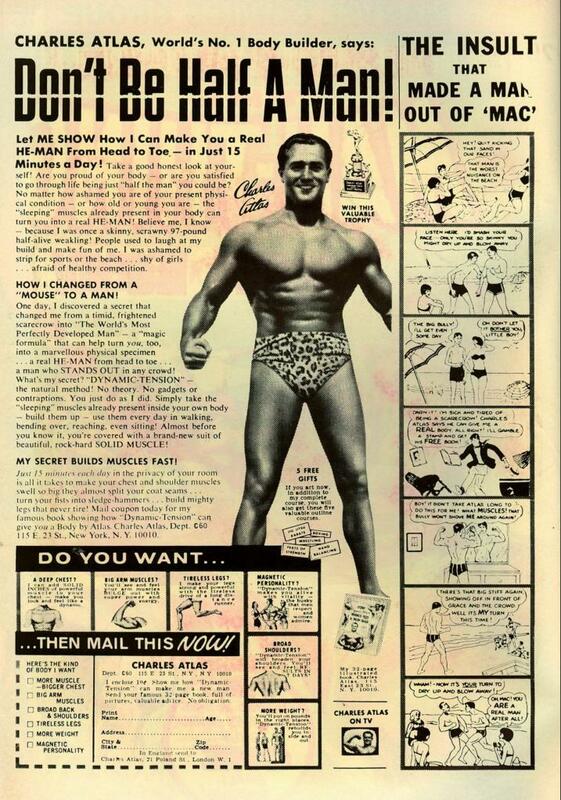 But this isn’t just any book, it’s The Hercules Method (Think those old Charles Atlas workout guides) and it’s going to teach Luther how to become a man with these few simple workout steps. But you’ve got to be careful what you wish because not only does Luther’s new workout routine really work, it works too well and it feel like he knows how to turn it off. Just hope you don’t get in his way. My high school experiences were still weirder. 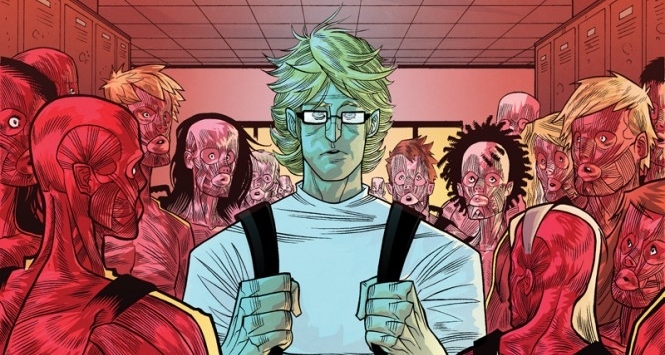 The Strange Talent of Luther Strode is a six issue story that chronicles just any other kid that becomes something between a hero and a monster. It starts off as though it’s in the same vein of The Amazing Spider-Man, wherein skinny nerd Luther just wants to get the girl for once…but quickly spirals into something akin to Friday the 13th (2) if Peter Parker gained the abilities of Jason Voorhees. With these newfound powers, Luther struggles to find out what to do with them and where they came from. But like a lot of kids, being a superhero comes to mind. Whether or not that works out is for you to see. But the Jason comparison wasn’t just something I used in passing. Luther begins wearing a white mask and uses his strength, speed and reflexes brutally. Like below. *Not all images are from Strange Talent- to be discussed! And that’s part of his gift- to be able to kill. Something like Drax the Destroyer finding out how to DESTROY. He’s not just known as The Destroyer because he breaks things but because he can obliterate them to a freaking molecular level. And Strode himself has the aptly title “meat-vision” though it’s never mentioned as that in the story. He can see the muscle, bones, innards of everyone, allowing him to see right through his opponent in more ways than one. And if you know about martial arts- you’ve got to hit through your opponent. Luther uses this to his full potential. Due to this, I’d put him up there in the ranks of characters like Wolverine, the Goon, Hellboy. He’s that kind of character. Not as gruff in personality but once his powers overtake him, he’s virtually indestructible and he’d have to be as strong as he is just for his own body to survive what he does to his victi- I mean, uh, enemies. Sounds gruesome right? Well, it is and that’s part of Luther’s tale; to figure out his purpose with this violent gift. Not that it’s all about soul searching, though themes of power are underlying every issue. What do you do with the power you have? How do you use it? How should you use it? It’s a quick read and I actually got through it in less than an hour. You can actually read the first issue in PDF format here! Luther’s story doesn’t just end with six issues of this guy getting his powers, finding out where they came from and living a long and happy life. 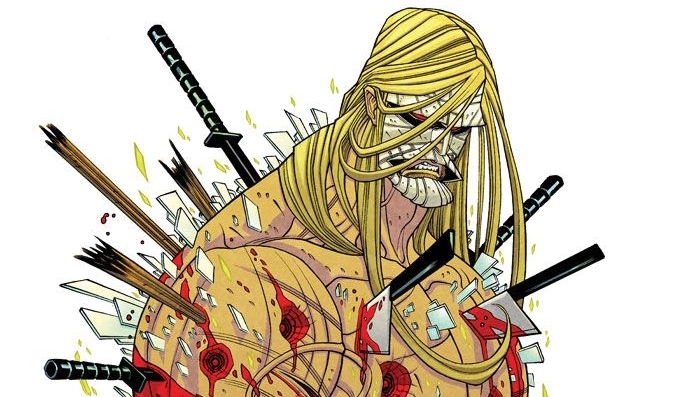 Nope, while the first story ends (Because all good things must), we’re given the continuation with The Legend of Luther Strode. In it, Luther is being hunted by forces spilling over into his actions of the first book. We’ll just say the things he did in the first book aren’t just brushed under the rug and Luther’s blessing is easily much more of a curse. I don’t want to give away too much of this because you need to read the first one first! But I don’t mind telling you that while the story and dialogue is consistently good (If not a bit R-rated) thanks to writer Justin Jordan, the art in these books is unlike anything I’ve seen in any other comic- save for the other stuff artist Tradd Moore has worked on. I mean I’ve been posting it all over this article, you can see how crazy it is. If you click the link, you’ll see a page out of one of the first six issues of Marvel’s All-New Ghost Rider, my introduction to Moore. It’s actually written by Felipe Sobreiro, the colorist of the Luther Strode books. So you could say there’s a pretty talented team here. EDIT: Felipe SMITH is the writer of All-New Ghost Rider, NOT Felipe Sobreiro as Felipe Sobreiro himself let me know. Too cool to edit out and pretend it didn’t happen. This is the first story I’ve read written by Jordan (I actually started with Legend) but he’s got a way of keeping the dialogue simple, dramatic where it should be and it always sounds like something somebody would say. Too often we get dialogue from characters that sounds like something out of a movie…where they talk like real people just don’t. But Jordan’s dialogue is solid. Not to mention the story he’s crafted is something any guy, much less any fan of action (and ultra-violence) can get behind. Last but not least, and much of the reason I feel this write-up is still hip, with it, swinging and jiving, is because the story isn’t finished yet. We’ve got one more six issue arc to complete as of May 2015. This is the beginning of the end and I’m not saying anymore. You can’t make me. Unh-uh. 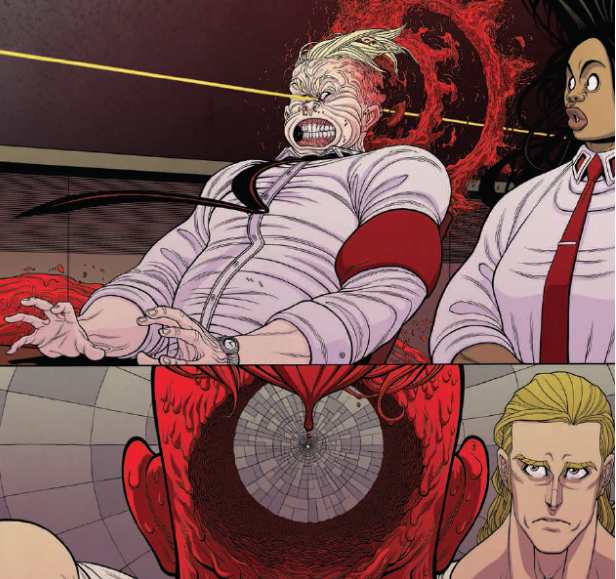 The first issue of The Legacy of Luther Strode is on shelves now and I would recommend supporting your local comic book store rather than Amazon here because uh, it’s more expensive through Amazon. Look just do it. I know the guy gives you weird looks because you don’t buy enough when you go in but you’re not doing this for him, you’re doing this for you. 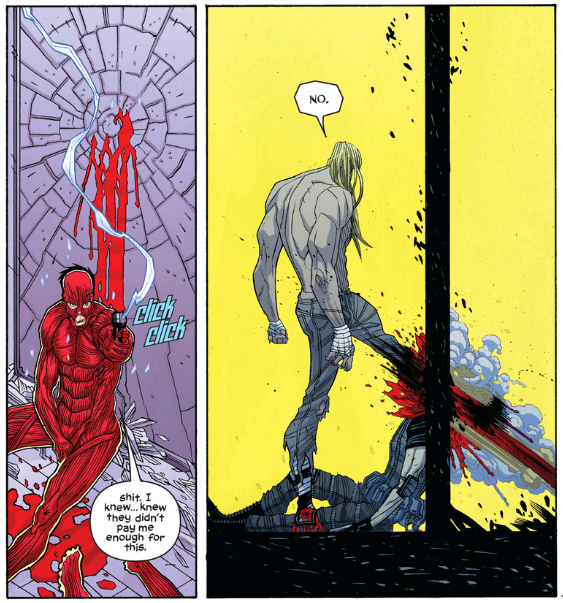 Oh and whaddya know- Luther Strode is from Image. 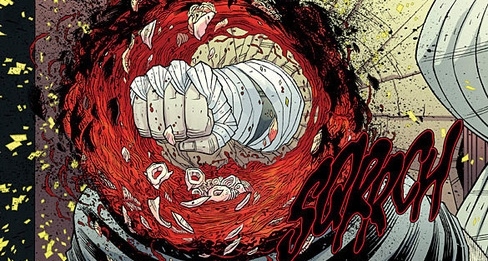 This entry was posted on 05/19/2015 at 1:41 pm and is filed under Reviews!, Whatever with tags comics, Felipe Sobreiro, image, Justin Jordan, The Legacy of Luther Strode, The Legend of Luther Strode, The Strange Talent of Luther Strode, Tradd Moore. You can follow any responses to this entry through the RSS 2.0 feed. You can leave a response, or trackback from your own site. My local comic book Obeast tries to kill me with his eyes when I go there. It’s very uncomfortable. You can just go into Publix for your latest issue of my little pony. No judgmental eyes there. This reminds me to Onepunch Man. I’ve looked it up. Pretty funny stuff. The main guy looks like a tall baby. Yeah I’m seeing a resemblance in the origin, total opposites, visually. 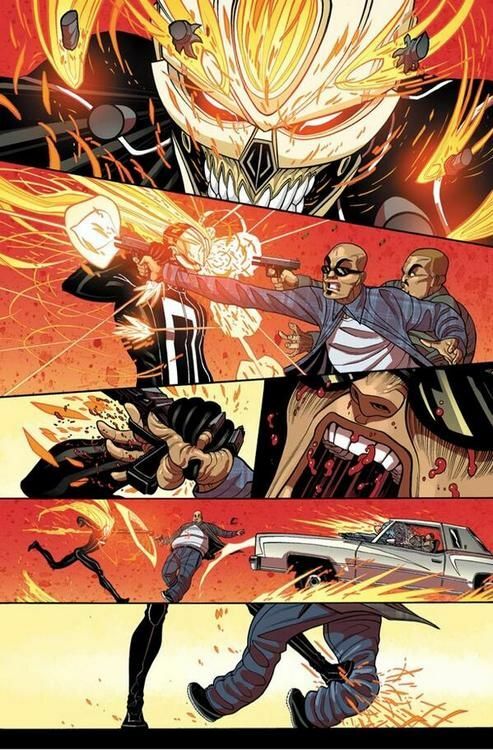 Thanks for the review – the writer of All-New Ghost Rider is Felipe SMITH, though! Thanks, I stand corrected, getting my Felipes mixed up. Uhh also I love what you do.